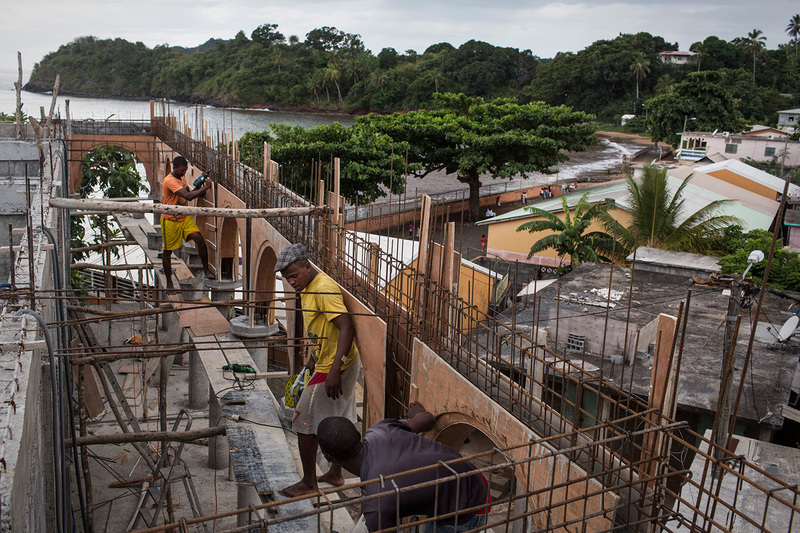 Workers enlarge the Mosque Vendredi in Mtsamboro at north of Mayotte on Monday, June 15, 2015. Most of the migrants disembark from kwassa on Mtsamboro islet, the nearest point to Anjouan. The illegal immigrant population of Mayotte may reach 50.000 to 60.000 people, approximately 30% of its legal population.